24th November 1815, Bamburgh, Northumberland in her Grandfather’s cottage. Grace Darling’s grandfather Job Horsley was a gardener to the Crew Trustees. 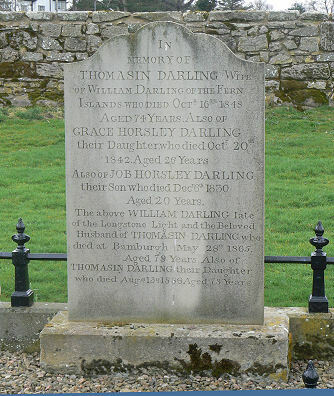 Grace was the fourth daughter out of nine children of William Darling Principal Keeper of the Longstone Lighthouse on the Farne Isles and his wife Thomasin. Although her brothers went to the free school at Bamburgh Castle run by the Crew Trust, Grace did not. There are some accounts that she went to Bessie Crawford’s boarder school at Spittal, near Berwick-upon-Tweed for a time but this was not substantiated by Grace, who said she received her education, especially in geography, from her father. 1815: The family moved to the Brownsman Lighthouse in the Farne Islands in December where they lived a self-sufficient lifestyle keeping their own livestock. 1824: Trinity House take over as sole lighthouse authority. 1826: On the 15th February the family moved to the newly built Longstone Lighthouse when Grace was ten years old but still had to tend their livestock and gardens on Brownsman which was extremely difficult in bad weather. This light was further out to sea to protect shipping from the hazardous series of rocks and small islands. 1834: First launching of the 150 ton steamship “Forfarshire” at Dundee. 1838: At 4 a.m. on the 7th September the steamship “Forfarshire”, on route from Hull to Dundee with a cargo of cloth and hardware, struck the rocks on Big Harcar (Then known as Harker’s rock) and broke in two. The boilers had earlier leaked and the engines finally gave up leaving the vessel to drift southwards towards the shore in a howling gale. At quarter to 5 in the morning Grace spotted the stricken ship from her window. It was not until 7 that she and her father spotted survivors on the reef. Her father (Aged 52) and herself (Aged 22) decided to set out in the family cobble boat to help as they feared that the lifeboats from nearby Bamburgh or North Sunderland would not be able to be launched in such bad weather. They set off to approach the wreck from the south in the lee of the storm. Once there they found nine people alive including a Mrs. Dawson holding the bodies of her two dead children. The cobble could not accommodate them all and five people were taken off. Once they were landed at the lighthouse William Darling and two of the rescued crewmen from the “Forfarshire” set out again for a second trip to take the remaining people off. They arrived back at the lighthouse by 9 a.m. Miraculously, later that day a lifeboat from the “Forfarshire” was sighted by a sloop which took off another nine survivors and landed them at Tynemouth. 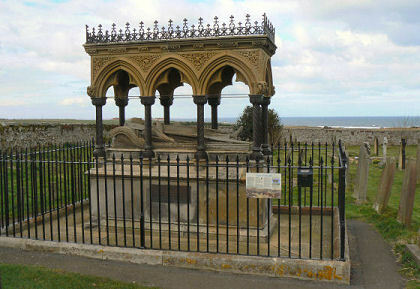 On the 11th September the Tuesday following the wreck the first inquest was held at Bamburgh under the initiative of Robert Smeddle, Secretary of the Crew Trustees. It was convened at the House of Mr. Hugh Ross, now the Victoria Hotel and as the local coroner was away Smeddle pressed the services of the Newcastle Coroner. The jury, including some of the survivors, was hostile and there was no surprise at the result. “Wrecked due to the imperfections of the boilers and the culpable negligence of Captain Humble”. Humble and his wife had both perished in the wreck. When the body of William Doughty, a fireman on the “Forfarshire”, was washed up another inquest was held at Hugh Ross’s house on the 1st October. This time Mr. Just the manager of the shipping line was invited. Some of the statements of the crew about the boilers being faulty and the passengers insistence that the Captain should put back to port were contradicted and this time it was decided that the ship had come to grief purely because of the tempestuousness of the weather. Grace was to be visited by all sorts of interested people immediately after the story broke in the “Newcastle Journal” and she was besieged by people wanting locks of her hair. Many poets, including William Wordsworth himself praised her heroism in verse. There were also requests for her to appear at the Adelphi Theatre in London and at Batty’s Equestrian Circus in Edinburgh, complete with offers of large sums of money. Grace being extremely modest refused all of these. Many public subscriptions were also raised in her honour, but although they raised large sums and touched the hearts of all in the land including Queen Victoria she never touched a penny. Awards were showered on her including Silver Medals from the Royal National Institute for the Preservation of Life from Shipwreck (Later to become the Royal National Lifeboat Institution) and the Gold Medallion from the Royal Humane Society. 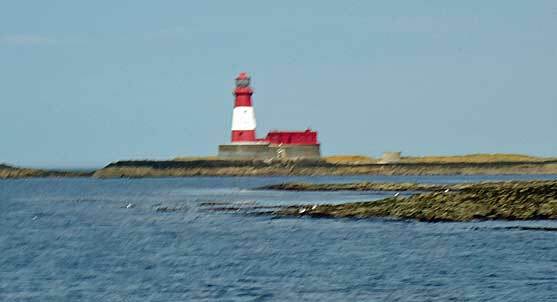 1841: Grace had continued to live with her parents at Longstone Lighthouse but by now her health had become a problem. At the end of the year she moved to stay with a family friend, George Shield, in Wooler where it was thought the air would be beneficial. 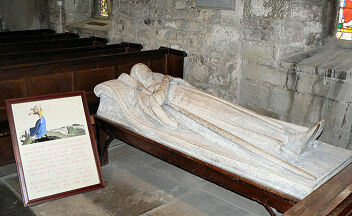 As there was no improvement she moved to Alnwick where she was attended by the Duchess of Northumberland’s own physician. She then moved back to Bamburgh to stay at the house of her sister Thomasin who cared for her lovingly right up until her death. 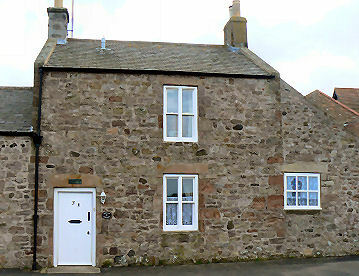 20th October 1842, 14 Front Street, Bamburgh, Northumberland of tuberculosis. 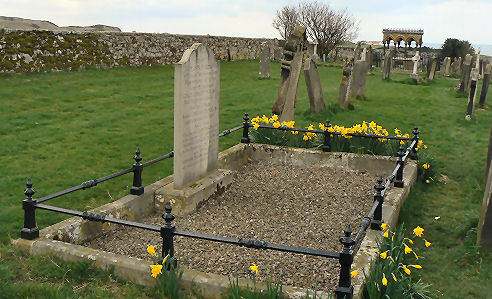 St. Aidan’s Churchyard, Bamburgh, Northumberland, England. Grace is buried in the family grave. Nearby, further from the road, there is a large ornamental monument to her with pillars and recumbent sculpture as her lasting memorial. 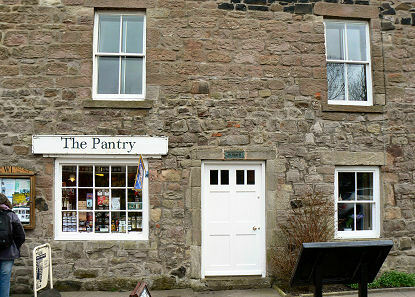 Grace Darling Museum, Royal National Lifeboat Institution, 1 Radcliffe Road, Bamburgh. (Contains the actual cobble boat from the rescue, Grace’s dress and other clothing as well as many other artifacts from both the Darling family and the wrecked “Forfarshire”.